I can’t believe it’s already March, and it looks and feels like spring has come. I know, I probably jinxed it, but I’ll take my chances. So, the second Friday of Lent has come and gone, and another restaurant checked off the list, not entirely yet, as I will still need to do an in-depth review some other time. For lunch today, I visited a Japanese restaurant that has been in business for quite some time now, but have never thought of visiting until now. 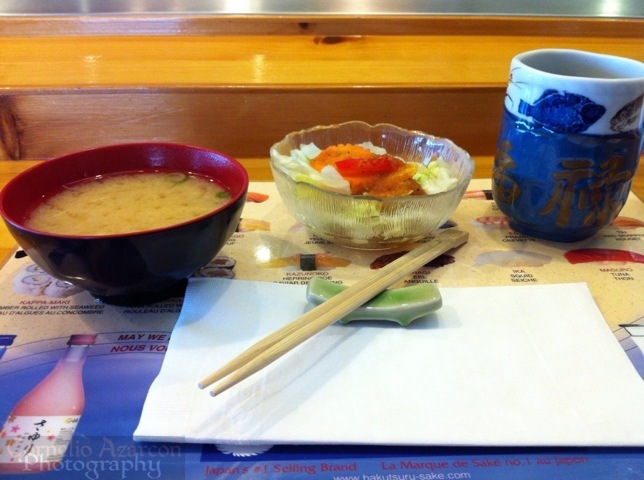 The restaurant is called Masamune Japanese Restaurant, and is located in Mississauga minutes away from the airport. The restaurant is quite spacious and clean, and the decors help create an atmosphere that evokes images of feudal Japan. 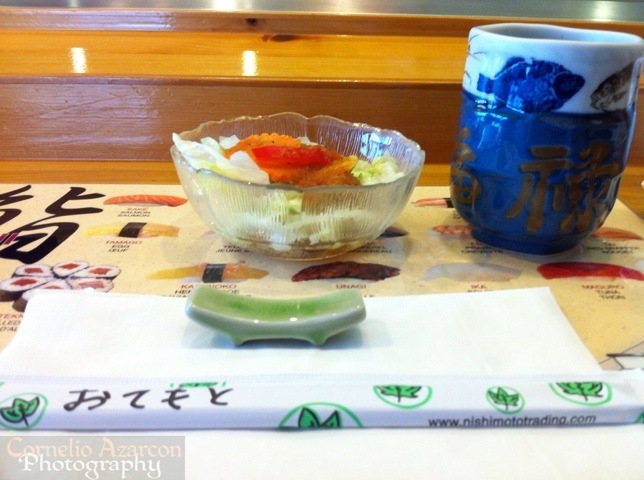 I placed my order, and the meal came with salad and miso soup. The salad dressing was some light vinaigrette and the salad had some apple slices in it as well. Also included a complimentary cup of green tea with refills. They also provided an assortment of appetizers, with different flavour profiles but equally as good as the next. 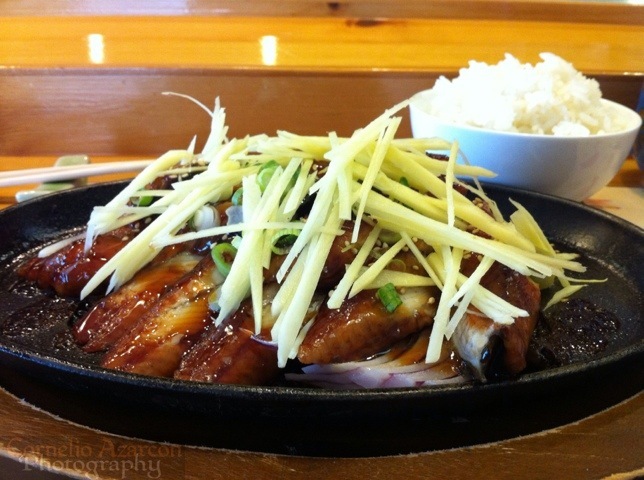 Then came my meal…I ordered the Unagi Kabayaki ($24.95), which was BBQ fresh water eel served with onions and ginger on a sizzling plate and served with a bowl of rice. The skillet or cast iron plate was sizzling hot and the food looked and smelled very appetizing. I really enjoyed the meal, but felt it might’ve been a little pricey, but then again, it was a good quality meal. 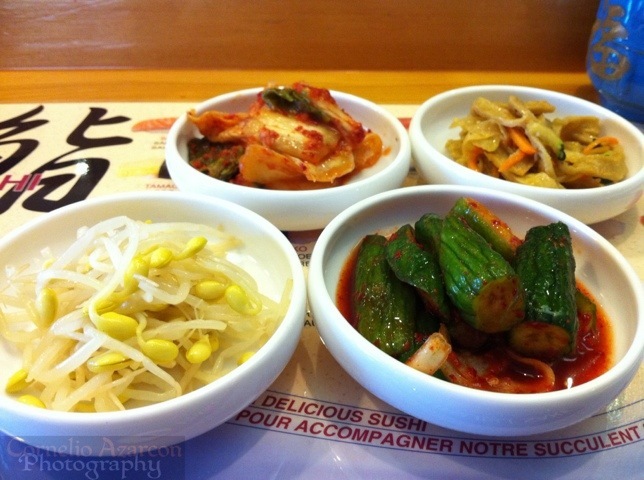 Will definitely return to try more of the menu. The use of all images in this site is prohibited by law without the express written consent of the photographer.